I have seen some fawning press releases in my day but this is the most obsequious schlock I have ever encountered. Mark or his mum must have stayed up real late writing this one. I seriously doubt any “synthesis” rebuttal paper containing so little original work (What did kill all those animals? Global warming?) has ever been touted by a federally funded institution in so silly and shallow a manner. Aren’t these the same people who bemoaned science by press release? At least UCSB never compared James Kennett to an Action Figure. ALBUQUERQUE, N.M. — Rebutting a speculative hypothesis that comet explosions changed Earth’s climate sufficiently to end the Clovis culture in North America about 13,000 years ago, Sandia lead author Mark Boslough and researchers from 14 academic institutions assert that other explanations must be found for the apparent disappearance. Sandia National Laboratories’ Mark Boslough rebuts a speculative hypothesis about comets leading to the end of the Clovis culture in North America. (Photo by Randy Montoya) Click on the thumbnail for a high-resolution image. In a December 2012 American Geophysical Union monograph, first available in January, the researchers point out that no appropriately sized impact craters from that time period have been discovered, nor have any unambiguously “shocked” materials been found. In addition, proposed fragmentation and explosion mechanisms “do not conserve energy or momentum,” a basic law of physics that must be satisfied for impact-caused climate change to have validity, the authors write. Also absent are physics-based models that support the impact hypothesis. Models that do exist, write the authors, contradict the asteroid-impact hypothesizers. The authors also charge that “several independent researchers have been unable to reproduce reported results” and that samples presented in support of the asteroid impact hypothesis were later discovered by carbon dating to be contaminated with modern material. Boslough has a decades-long history of successfully interpreting the effects of comet and asteroid collisions. His credibility was on the line on in July 1994 when Eos, the widely read newsletter of the American Geophysical Union, ran a front-page prediction by a Sandia National Laboratories team, led by Boslough, that under certain conditions plumes from the collision of comet Shoemaker-Levy 9 with the planet Jupiter would be visible from Earth. The Sandia team — Boslough, Dave Crawford, Allen Robinson and Tim Trucano — were alone among the world’s scientists in offering that possibility. “It was a gamble and could have been embarrassing if we were wrong,” said Boslough. “But I had been watching while Shoemaker-Levy 9 made its way across the heavens and realized it would be close enough to the horizon of Jupiter that the plumes would show.” His reasoning was backed by simulations from the world’s first massively parallel processing supercomputer, Sandia’s Intel Paragon. On the one hand, it was a chance to check the new Paragon’s logic against real events, a shakedown run for the defense-oriented machine. On the other, it was a hold-your-breath prediction, a kind of Babe Ruth moment when the Babe is reputed to have pointed to the spot in the center field bleachers he intended to hit the next ball. No other scientists were willing to point the same way, partly due to previous failures in predicting the behavior of comets Kohoutek and Halley, and partly because most astronomers believed the plumes would be hidden behind Jupiter’s bulk. That the plumes indeed proved visible started Boslough on his own trajectory as a media touchstone for things asteroidal and meteoritic. It didn’t hurt that, when he stands before television cameras to discuss celestial impacts, his earnest manner, expressive gestures and extraterrestrial subject matter make him seem a combination of Carl Sagan and Luke Skywalker, or perhaps Tom Sawyer and Indiana Jones[!!]. Standing in jeans, work shirt and hiking boots for the Discovery Channel at the site in Siberia where a mysterious explosion occurred 105 years ago, or discussing it at Sandia with his supercomputer simulations in bold colors on a big screen behind him, the rangy, 6-foot-3 Sandia researcher vividly and accurately explained why the mysterious explosion at Tunguska that decimated hundreds of square miles of trees and whose ejected debris was seen as far away as London most probably was caused neither by flying saucers drunkenly ramming a hillside (a proposed hypothesis) nor by an asteroid striking the Earth’s surface, but rather by the fireball of an asteroid airburst — an asteroid exploding high above ground, like a nuclear bomb, compressed to implosion as it plunged deeper into Earth’s thickening, increasingly resistive atmosphere. The governing physics, he said, was precisely the same as for the airburst on Jupiter. Among later triumphs, Boslough was the Sandia component of a National Geographic team flown to the Libyan Desert to make sense of strange yellow-green glass worn as jewelry by pharaohs in days past. Boslough’s take: It was the result of heat on desert sands from a hypervelocity impact caused by an even bigger asteroid burst. In the Clovis case, Boslough felt that his ideas were taken further than he could accept when other researchers claimed that the purported demise of Clovis civilization in North America was the result of climate change produced by a cluster of comet fragments striking Earth. In a widely reported press conference announcing the Clovis comet hypothesis in 2007, proponents showed a National Geographic animation based on one of Boslough’s simulations as inspiration for their idea. 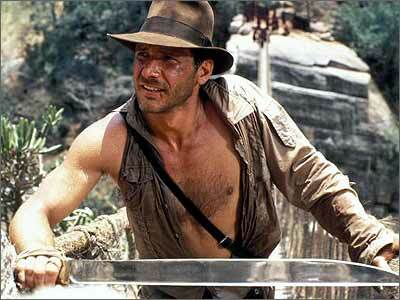 Indiana Jones-style [! ], Boslough responded. Confronted by apparently hard asteroid evidence, as well as a Nova documentary and an article in the journal Science, all purportedly showing his error in rebutting the comet hypothesis, Boslough ordered carbon dating of the major evidence provided by the opposition: nanodiamond-bearing carbon spherules associated with the shock of an asteroid’s impact. The tests found the alleged 13,000-year-old carbon to be of very recent formation. That find, along with irregularities reported in the background of one member of the opposing team, was enough for Nova to remove the entire episode from its list of science [Hmmmmm] shows available for streaming, Boslough said.